Though we're sad to say goodbye to the weekend, at LitWorld we just love when Monday drops a pleasant surprise at our doorstep. Look what arrived in the mail today! 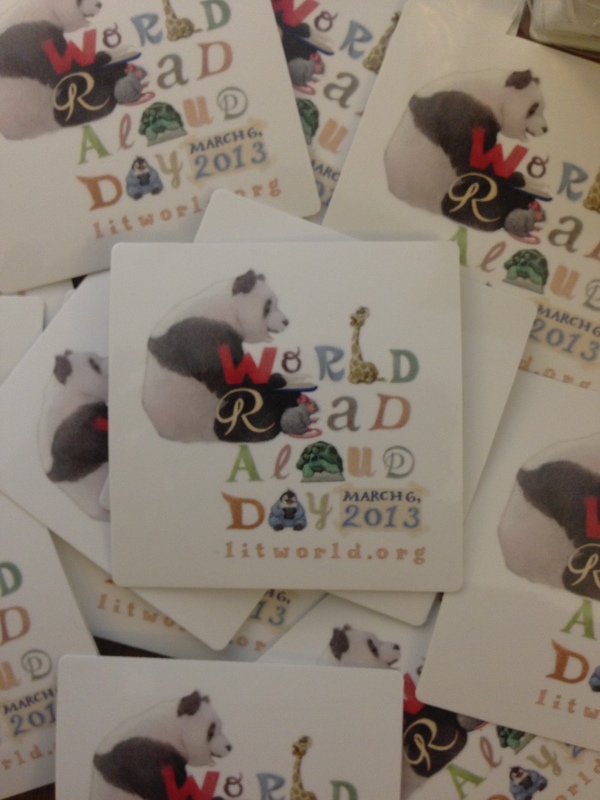 Our beautiful World Read Aloud Day 2013 banner, and stickers by the wonderful Lindsey Manwell. Learn more about Lindsey's favorite read aloud memory here. We're couldn't be more excited to display these lovely works of art for all to see. What's your favorite animal on the WRAD logo (WRAnimal)? My personal favorite is the turtle. It's also worth noting that though LitWorld staff members Yaya and Leah appear to be ten feet tall in the picture above, it is in fact an optical illusion. Older PostAccept the World Read Aloud Day Blogging Challenge!